This article is from the IWOC Winter 2016 Newsletter in the US, written by Anthony Gay. is very difficult business but a necessary feat to accomplish before the underdeveloped oppressed community (class) can even begin our struggles for self determination and Human Rights. We say the words “solidarity”, “co-operation”, “mutual aid”, and “unification”, but when one examines the recent history of working class struggle (especially in Amerikkka), it becomes apparent that those are just “slogans” and “sound bites”…. Platitudes. I’m sure we all know this divisiveness is all by design. The Ruling class and the dominate culture have bred and socialized us to fight amongst each other and compete for scraps to deflect our own attention from the source of our woes: them. Their tactics have deep roots, going back to slavery and the “Willie Lynch Syndrome”, the creation of “whiteness” and “race”, wage slavery competition between newly “freed” slaves and the Italians, Irish, and other poor “whites”. The Ruling class/ dominate culture and their state have always designed ways and systems to divide and conquer those they oppress. However, I take for granted that most, if not all, of you who are reading this are well versed in the processes of history; the point to all of this, is that: we can be mentally aware of these facts, yet sub- consciously perpetuate these patterns of inter-communal because it’s hard-wired into our socio-economic and political DNA, so to speak. This phenomena is widespread throughout the underdeveoped, oppressed, underclass and particu- larly prevalent in the Prison Systems. And it goes beyond “racial”, religious or gender discord; this habit of active disunity is witnessed at the ideological and strategic levels within organizations, families and groups with the same superficial char- acteristics. This is why we have so many scattered, un coordinated Issues we fight within the working class (underdeveloped community). We haven’t been socialized or trained to have a “unified analytical vision of circumstances”. We see all the various challenges and injustices against us as separate; and when this happens we become “separate” people; when we become separate people, we compete against each other, when we compete against each other, we become enemies with different interests; at this point, it becomes easier for the ruling class to manipulate us and get us to betray one another, or fight over concessions and perks”. Look at the multiple struggles of contemporary oppressed, underdeveloped commu-nities: “Black Lives Matter”, “End Solitary Confinement” “Stop the Death Penalty”, “Immigration”, “Stop Police Brutality” “Stop Gender Prejudice”, “The LGBRQ Struggles” etc. All of these “issues” are valid and necessary, but not as “single issues”, the problem is that : you have people who want police brutality to end, but think prisons are necessary, prisoners who want pay for their work, but not an end to the wage system and capitalism: factory workers who want control of their labor value, but are against Mexicans coming across the border; members of the working class who want the ruling class to give them more jobs and voting rights but not Liberty and self determination—there’s no consciousness of common class interests; no acknowledgement or awareness of one adversary (oppressor class) using multiple methods of genocide and class warfare. We have to change our analytical perception of events and conditions and change our language in a way that accurately defines our politics, goals and methods. We have to get our fundamentals right either we’re seeking self determination-or-seeking revolutionary reforms, while still being governed and coerced by a group whose interests are incompatible with ours (ruling class/state/dominant culture). Either we’re one underdeveloped, oppressed community fighting state terrorism “races” and religions fighting unrelated instances of non-systematic “unfairness” and the occasional “mishap” while we continuously undermine one another, to the ruling of class consciousness, we have to think systematically; big picture and long range thinking; we have to communicate, empathize and PRACTICE cooperative activities; we have to develop the capacity within ourselves to appreciate and respect differences in each other’s cultures, ideas and historical processes. This is why I really admire what the California/ short corridor/ Pelican Bay Comrades have done with their commitment to end hostilities (inside and outside of prisons). Here, in Arizona Prisons, racial tension is still a very big problem and obstacle to pro- active struggle. The administration hand picks “race leadership” and manufactures conflict to keep us divided. The Administration and Wardens, etc., allow drugs into these prisons to fuel strife and prevent any possibilities for clear thinking and unity amongst our captive populations. So, I sincerely believe that we need to organize cross consultancy and mentoring networks for captives in different states. I’d like to know what stratifies California Prisoners used to build Peace and end hostilities. We need direct contact with one another as well as cross collaborative operations and partner- ships between captives and non incarcerat- ed class allies. Our entire community, non incarcerated and imprisoned, has to rediscover our common interests, our shared histories and our symbiotic possibilities. 1.) How can we create a framework and platform for dialogue, so that we can realistically choose and commit to strategies for class conscious raising and unified identity? 2.) Is working class seeking self determination or merely striving to be governed “more fairly”, with “less pain” and discomfort? 3.) There are many within the underdeveloped, oppressed, working class who respect, trust and aspire to bourgeois/ capitalist/dominant cultural values. How do we reconcile this contradiction within our ranks? 4.) Who all, amongst and within our under developed community agrees with us executing a coordinated campaign to abolish the slavery clause of the 13th amendment, as a strategy to create a sort of “domino effect” to take and wield our Human Rights and Human Power? 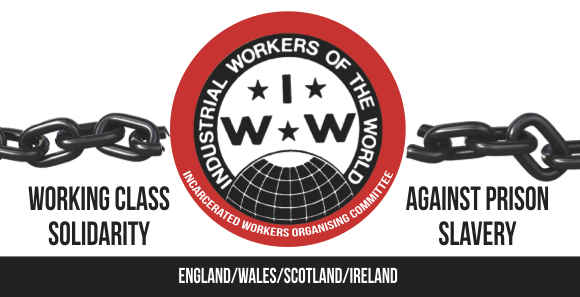 Non incarcerated and incarcerated members of the working class would mobilize around this issue, internationally and domestically. This recognizes the judges, prosecutors, police, legislators, prisons, parole systems as forcing us to be dependent and idle, forcing labor, denying us agency, economic freedom and political influence and collectively destabilizing and destroying our class and community. I think this is the, or could be, the “door way” to a full scale self determinationist movement. What does everyone feel about this strategy? 5.) I hope to be involved in a renewed system of dialogue and revolutionary praxis, and I’m eager to create synergetic interdependency within our community, for effective change.